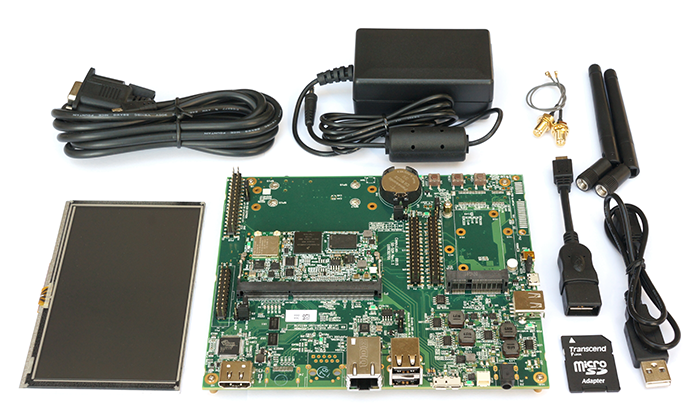 SBC-iMX6UL is a single board computer designed for industrial and embedded applications. It is based on the Freescale i.MX6 UltraLite System-on-Chip. 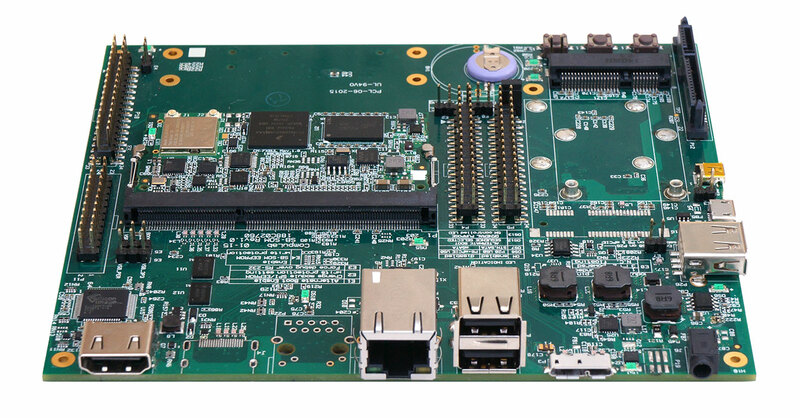 SBC-iMX6UL is implemented with the CL-SOM-iMX6UL System-on-Module providing most of the functions, and SB-SOM-iMX6UL carrier board providing additional peripheral functions and connectors. 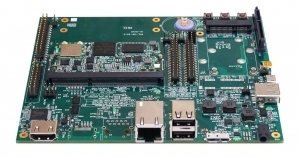 Featuring a rich array of networking interfaces with Ethernet, dual-band 802.11a/b/g/n WiFi and Bluetooth 4.1, SBC-iMX6UL is an excellent solution for networking, industrial communications and IoT applications. SBC-iMX6UL is provided with comprehensive documentation and full ready-to-run SW packages for the Linux operating system. The "SB option" column specifies the SB-SOM-iMX6UL carrier board P/N code required for a particular feature. The "CM option" column specifies the CL-SOM-iMX6UL P/N code required for a particular feature. SBC-iMX6UL feature-set is a combination of features provided by the attached CL-SOM-iMX6UL and the features implemented on the SB-SOM-iMX6UL. For a particular feature to be present, both the CM and SB options of that feature must be implemented. MMC / SDIO MMC / SD / SDIO interface. Standard full-size SD socket. For previous versions of the CL-SOM-iMX software packages, please refer to the CL-SOM-iMX6UL software archive. Note: The SB-SOM-iMX6UL carrier-board must contain a CL-SOM-iMX6UL module for the implementation of a self-contained SBC. Options specified on this page refer to the SB-SOM-iMX6UL only.